Timing Ireland - LED Darts Scoreboards for Bars & Clubs. 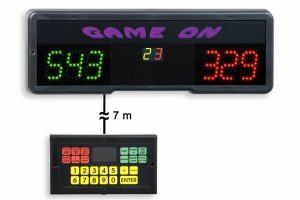 LED Electronic Darts Scoreboard. Perfect for Bars & Clubs. Various settings for Multiple Game Modes: 301, 501 & 701. Functions Include….